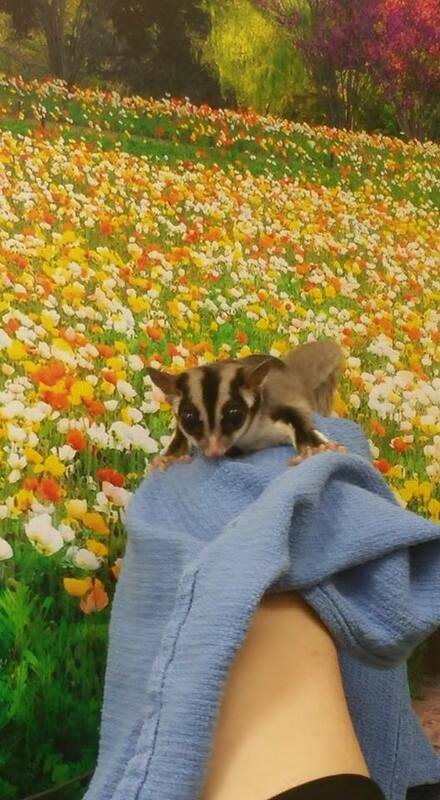 HOUSING: Gliders are social animals and should never be kept alone. A large cage is needed to allow these athletic animals to explore. Bird cages are frequently utilized. Larger is better, but ensure that the screen is small enough to safely keep your glider in the cage. A sleeping pouch and hide box are needed as are a variety of perches for climbing. Parrot toys can be provided for additional stimulation as can a rodent wheel. DIET: Diet is extremely important for sugar gliders and an improper diet can literally kill your glider. I recommend one of the 2 options below for providing the best nutrition for your pet. As with any exotic pet, it is important that you research and understand the needs of your pet both in the wild and in captivity. Small amounts of fresh fruits, vegetables, baby food, and dairy products can be offered. SUPPLEMENTS: A combination of a vitamin and mineral supplement such as Rep-Cal Herptivite should be sprinkled over food. The calcium supplement should be phosphorus free. WATER: Clean/fresh water should be available at all times. A water bottle is typically provided.